Relying on analysis of IOM estimates from the Missing Migrants Project, the report states that at least 33,761 migrants were reported to have died or gone missing in the Mediterranean between 2000 and 2017 (as of 30 June). Professor Philippe Fargues of the European University Institute, the report's author, notes that this number likely under-reports the actual scale of the human tragedy, even as the record number of migrant deaths may have begun to subside in 2017 due in part to cooperation between the EU and Turkey, and now Libya, to stem migrant flows. “Stopping migration and eradicating deaths at sea may [be] conflicting objectives. Shutting the shorter and less dangerous routes can open longer and more dangerous routes, thus increasing the likelihood of dying at sea,” Prof. Fargues states in the report. 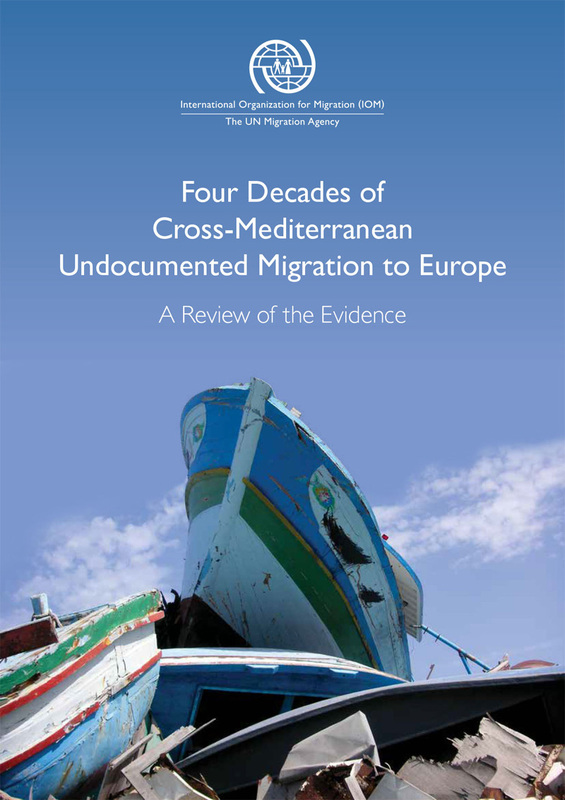 The report analyzes irregular migration across the Mediterranean since the 1970s. It highlights that irregular arrivals to Europe have increased in response to more restrictive migration policies by some European countries. Prime examples from the report are the irregular migration from North Africa and Turkey to Europe in the 1970s, after visa requirements were introduced for temporary labour migrants from these regions. These policies encouraged those who were already in Europe to stay, increased irregular migration of family members to join their relatives in Europe and gave way to the smuggling business. Absence of legal pathways for asylum-seekers and refugees to travel to Europe and seek asylum also increased arrivals by sea along the Eastern, Central and Western Mediterranean routes since 2009. The study also highlights differences between the modern pattern of migration from Africa to Italy, mostly via Libya, and that from the Middle East to Greece via Turkey. For example, Professor Fargues concludes that since 2009, “arrivals to Greece from Turkey are primarily of nationals from origin states affected by conflict and political instability (Iraq, Afghanistan, and Syria), who would be likely to receive refugee status in the EU.” These asylum-seekers had no options for humanitarian visas or regular migration in their countries of origin, the report states. Arrivals to Italy from North Africa largely originate across sub-Saharan Africa in response to deep migratory pressures – population growth coupled with limited livelihood opportunities, high unemployment and poor governance and political and economic instability. People from major refugee-source countries were a minority of migrants arriving in Italy, except for a short period in 2013–14. However, the number of first residence permits issued in Europe in 2009–2016 to African nationals – an indicator of regular migration – was higher than that of African migrants arriving irregularly by sea. The report also notes that most migrants in Libya come from countries that are not among the top countries of origin of migrants smuggled to Italy. The report concludes by acknowledging the limitations of available data on irregular migration and identifying further research and data needs.